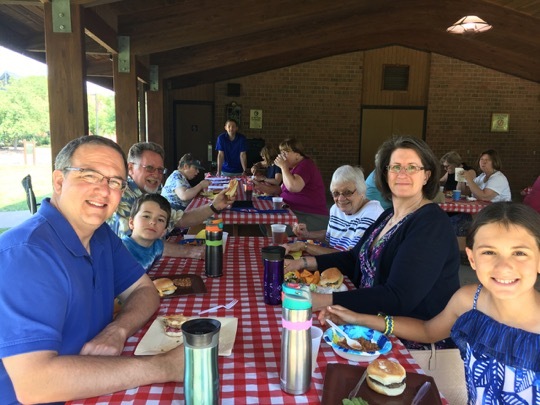 United Church is known for the warmth of its community life which is sustained and strengthened through a weekly fellowship time following worship; seasonal events such as potlucks, picnics and gatherings in people’s homes open to the whole congregation. 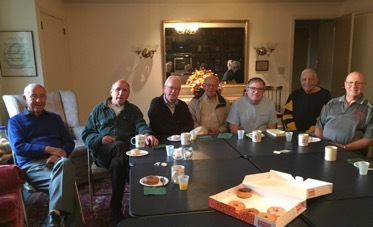 The Men’s Covenant Group has met weekly for over 30 years as a self-directed group. They meet the third Thursday of the month at 7:00 am. Women’s Wednesday Bible Study meets the first and third Wednesdays of the month from 2:00-3:00 pm. 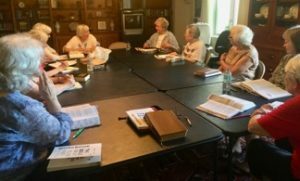 This self-directed group uses a variety of curricula for traditional Bible study and discussion. Tabitha Circle is a monthly gathering (2nd Wednesday) of women who share food, stories, service, educational opportunities and movies as the Spirit moves them. Check the calendar for time and program. 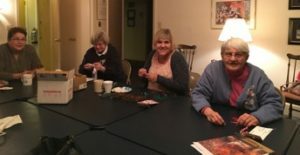 These self-directed groups are always open to newcomers. 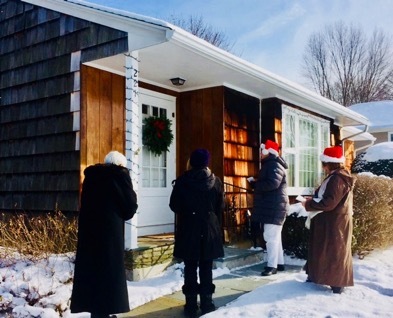 Fellowship is also created within smaller ministry groups within the church, the members of choirs, of education programs for any age, mission teams and others, as they work together serving others and building relationships among themselves. 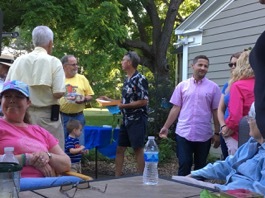 Our Congregation Care Committee provides assistance and supplemental aid to the pastor’s visiting and care. They make regular home visits, provide transitional meals when someone has a medical procedure, are trained to serve communion in homes, and often assist with receptions following memorial services or funerals.